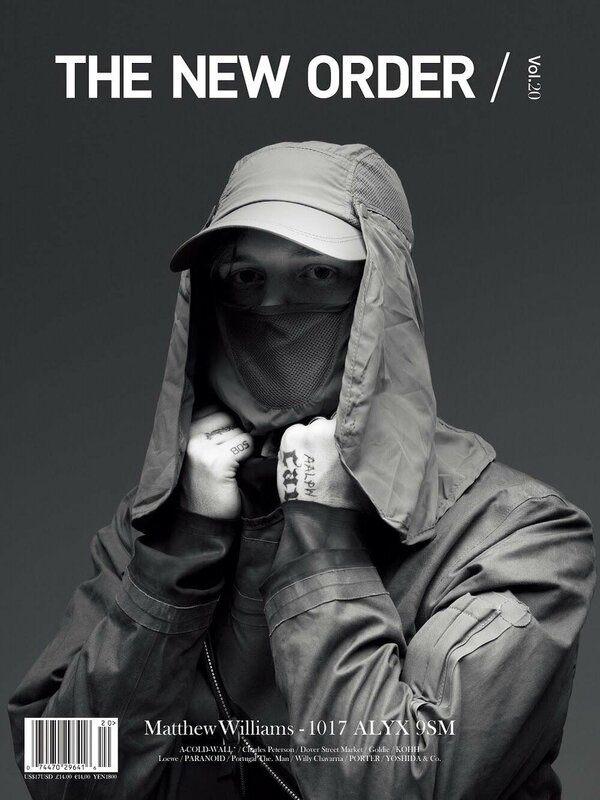 Our special edition covers feature Japanese recording artist Kohh shot by Rintaro ishige, and 1017 ALYX 9SM founder and creative director Matthew M Williams shot by Pierre Debusschere. With accompanying interviews and editorial stories in the magazine. We are also proud to showcase our 10th anniversary collaborations with a host of designers and brands we have come to know as friends over the last decade. From Tokyo based designers such as TAKAHIROMIYASHITAthesoloist and Sasquatch Fabrics to bag specialists Porter Yoshida and denim Icons Levi’s, we have something for everyone. We started THE NEW ORDER / a decade ago with a goal of building a community and creating a constant dialogue between the magazine and our readers. A dialogue fuelled by compelling stories and beautiful imagery that digs deep into sub-cultures, youth cultures and every culture that matters. We have worked with some of the biggest talents in the creative world, collaborating with photographers, stylists, designers, artists and writers of all generations and all nationalities. And we have featured some of the most renowned and sought after names in fashion, music and art. Looking back its safe to say we have achieved what we set out to do. But we won’t stop there. While ten is a success, we will go even further. Moving ahead with the aim of inspiring younger generations and creating a legacy that remains long after we are gone.